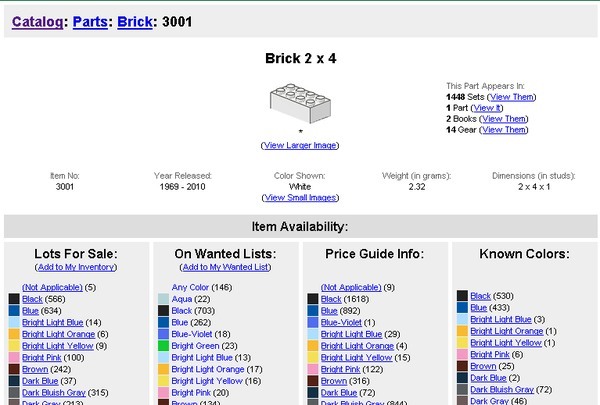 "Thousands of private Lego resellers from around the world have shops there selling kits, manuals, and individual elements indexed by official Lego catalog number. If you're sourcing parts for a particular model, you still have to do some manual legwork running down the particular combination of BrickLink sellers that optimize price, availability, seller location, seller minimum order values, and so forth for the items on your list..."
News: Super Mega Slip N' Slide! News: 3D Stereo Film Mega Effects! News: Megamind has come to Farmville! This site is great and in the useful links on the side.